The firing party stands at attention during burial services for Army Pfc. 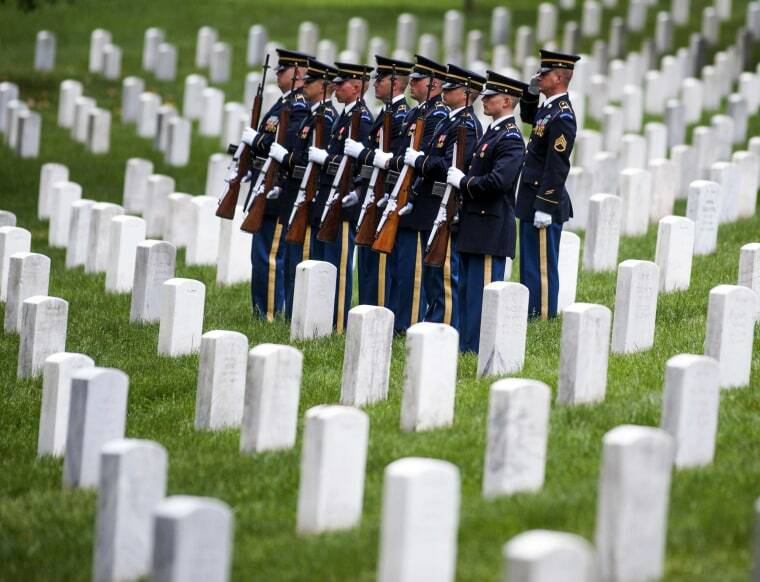 James Holmes of Warren, Ohio, on Thursday at Arlington National Cemetery. Holmes was declared missing in action during the Korean War but earlier this month the Department of Defense announced his remains had been identified. They were returned to his family for burial with full military honors.